Republic Day Bravery Awards 2019 has been announced for 24 students across the nation. This year 16 boys and 8 girls have been selected from Uttar Pradesh, Assam, Gujarat, Karnataka, Maharashtra, Chhattisgarh, Kerala, Jharkhand, Arunachal Pradesh, Uttarakhand, Meghalaya, Tripura, Manipur, Mizoram and Nagaland. The National (Child) Bravery Awards are given every year to selected students who show tremendous fight and responsibility in the hour of need. PM Shri Narendra Modi will offer medals for students on their bravery spirit and fight. They are allowed to come at Indian Republic day parade event in New Delhi on 26th January, 2019. It is a moment of pride for few students, some of them who lost their lives while saving their dear ones in the act of bravery last year. In an act of recognition to award such merited students, the Bravery Awards are organized every year since 1957 to confer the talents of India at such a young age. Their parents would hold a proud moment in their life, for their children's acts of bravery! As per the recent information received by the Press Information Bureau of India, the Government of India has finalized the names for Pradhan Mantri Rashtriya Bal Puraskar 2019 under the head of National Selection Committee. As per the award, there are 26 students eligible to receive the honourable recognition under National Child Award with the innovation for bravery, arts, sports, culture and other fields.There are two category of awards here - Shakti Puraskar and Bal Kalyan Puraskar to be awarded. 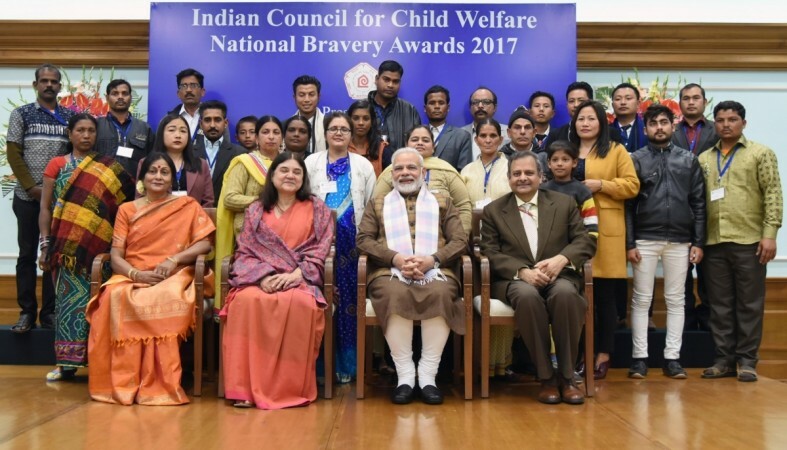 We will let you the names of the students who have won the special award this year but since Bravery Award is being organized by the NGO's named ICCW and after the dispute between them with the Government of India, the scheme of Bravery Awards has been merged with the component of Pradhan Mantri National Children Award. The acts of bravery shall be honoured by our Prime Minister after the closing ceremony of Republic Day event this year. The students will hold a chair discussion with PM Shri Narendra Modi and discuss their acts of bravery shown. They will be invited for a special dinner event with Prime Minister and will celebrate the occasion at his New Delhi residence. Here's a list of all the students who are announced in this year's prestigious positions. These names have been verified with Government of India and their announcement on the official website for conferring the medals. We congratulate to each of them on receiving the National Awards and hope they continue to serve the nation with dignity! !